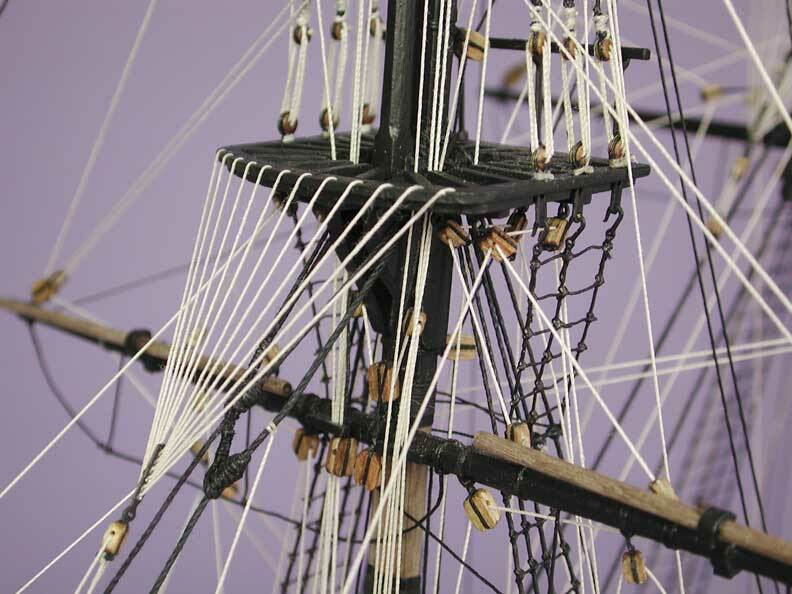 JoTiKa Ltd. ~ HM Brig Badger Construction Page 9. 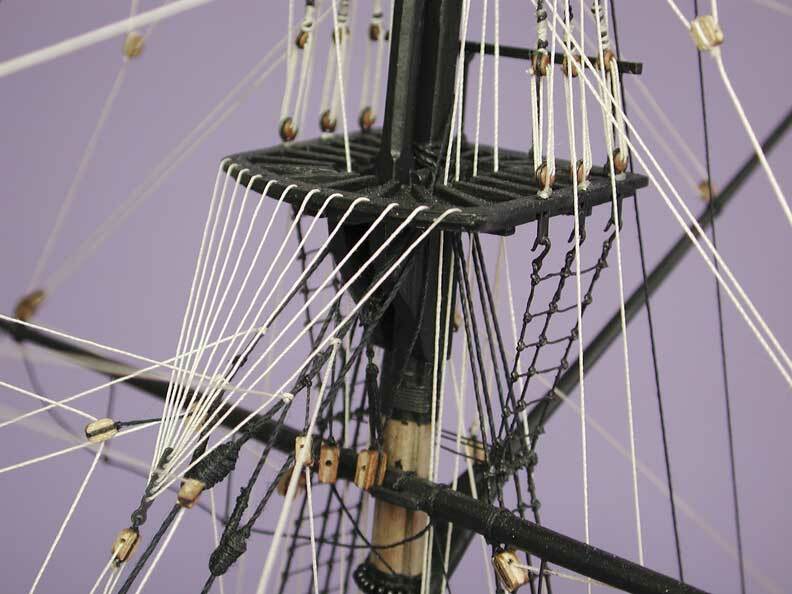 Belaying around the base of the main mast. 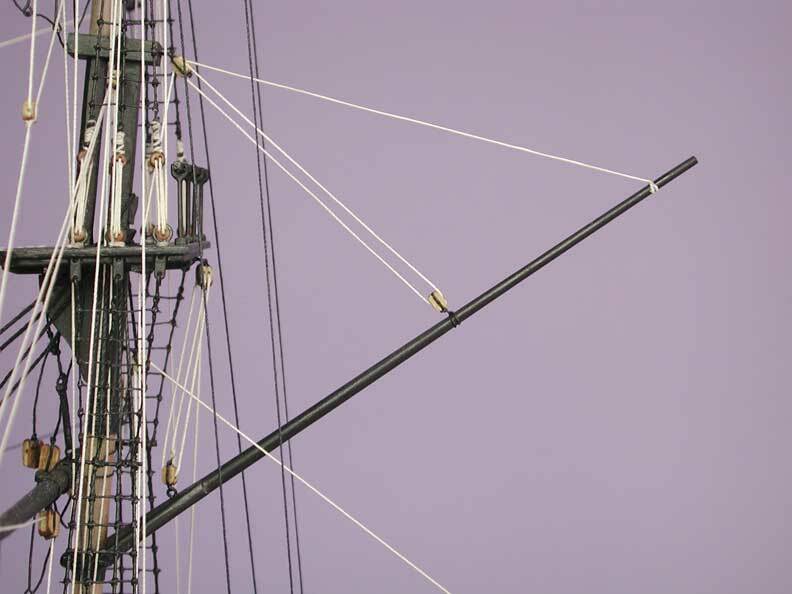 Belaying around the base of the fore mast. The main yard. 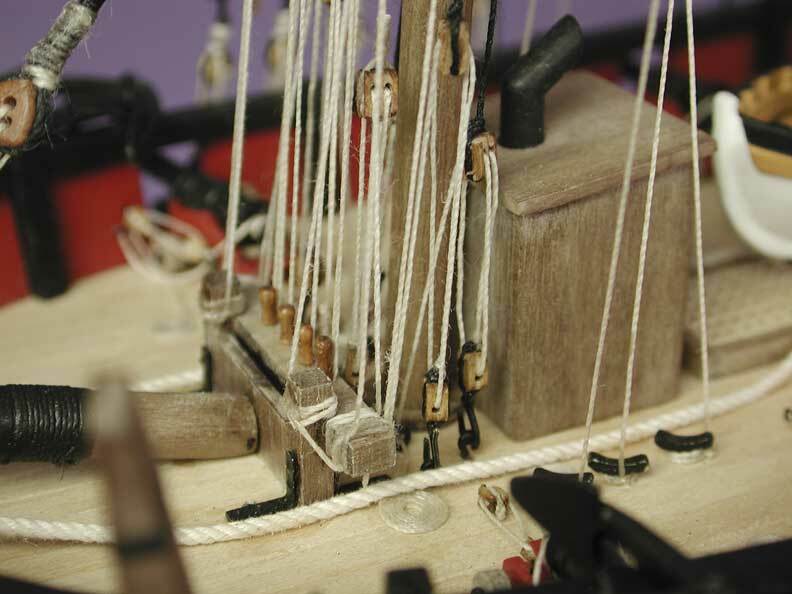 Note, on Royal Navy Brigs the main yard is rigged as a crossjack and so there are no sheets, cluelines, tacks etc. also, the braces lead forward NOT aft as can be seen in subsequent pictures. 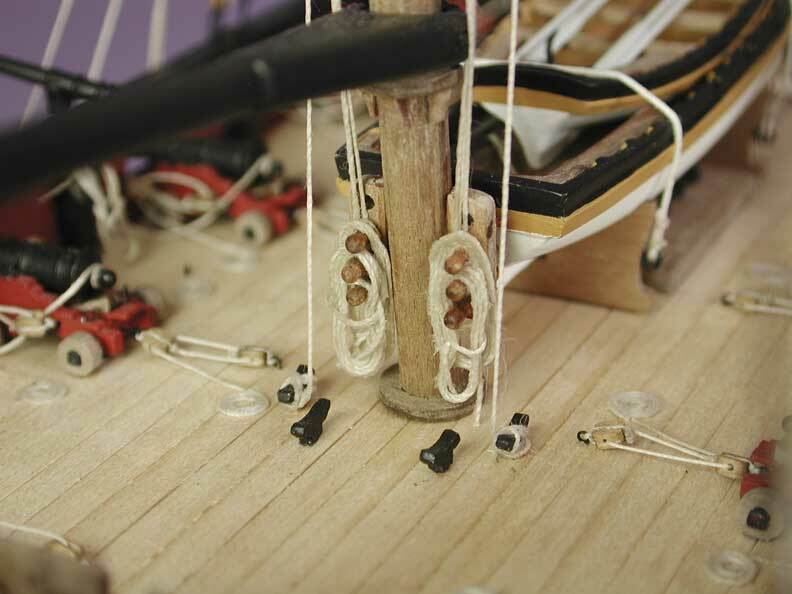 Spritsail yard, bowsprit and jiboom detail. 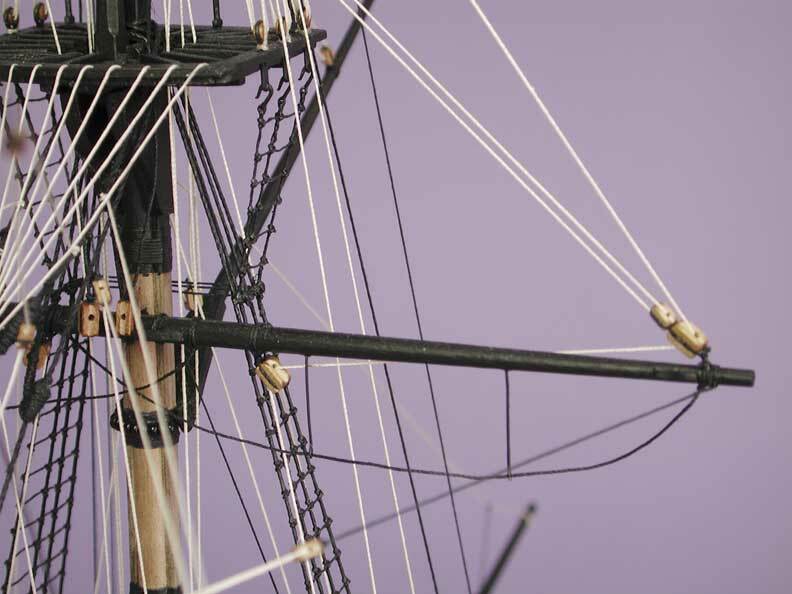 Driver gaff rigging. 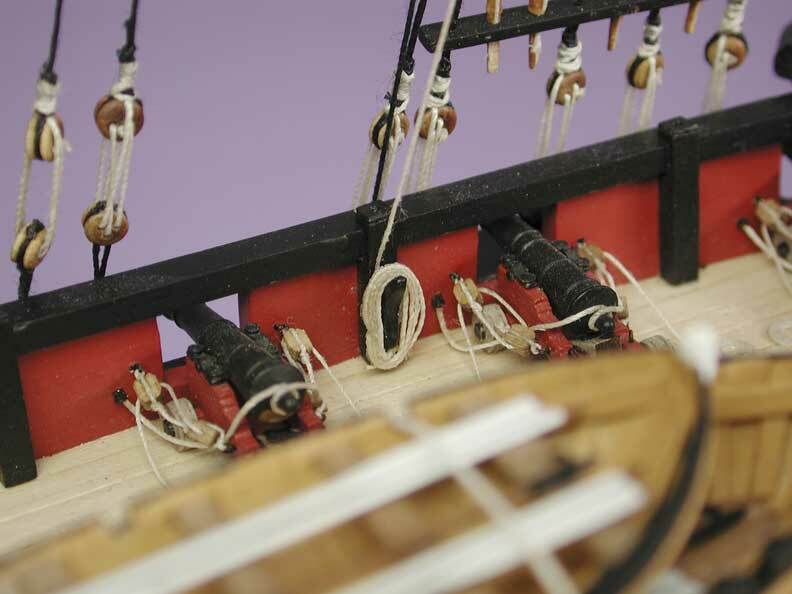 Note that the driver gaff on brigs were rigged to hoist and as such vang pendants are NOT fitted, this point is noted by the likes of Lever, Roding etc. The driver boom guy pendants. 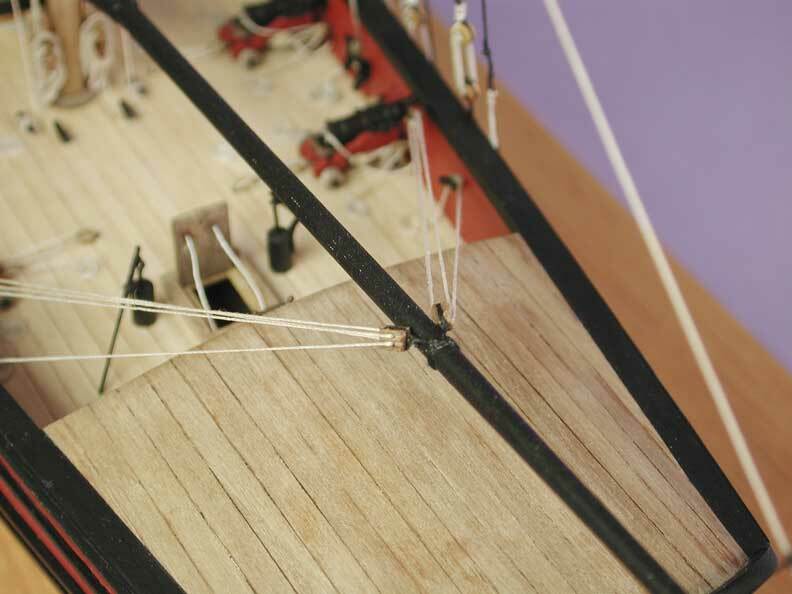 Due to the cabin roof not being utilised as a deck, the guy pendants lead inboard rather than to the taffrail. 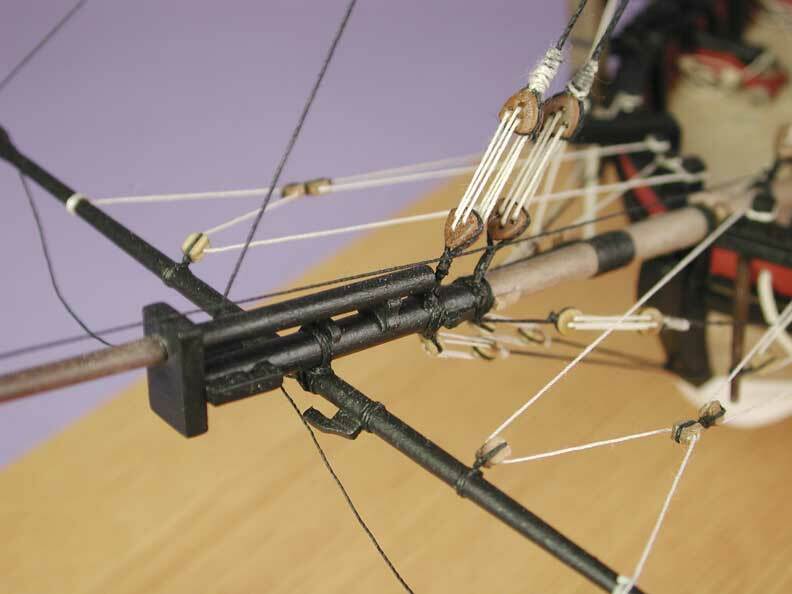 Belaying to bulwark deck cleats, in this case the main (crossjack) yard braces.